A unique family-owned business of antiques, art and oddities has been given a makeover and a new name. Formerly known as C&C Electric and Lighting, new proprietors Derek and Lauren Ross Simmons are excited to give their family’s business a fresh new spin for the community. 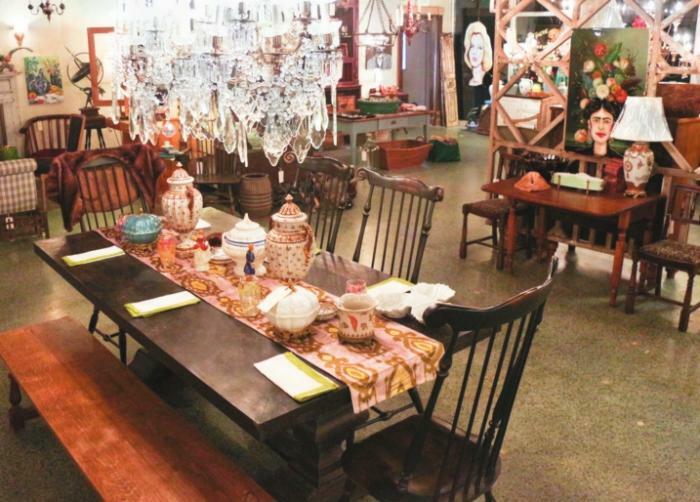 C&C Mercantile & Lighting carries antiques, such as furniture and lighting, decorative pieces, lamps, shades and electrical parts. They also offer services such as lamp and lighting repair, antique fixture restoration and ironwork. “Besides carrying one-off items from all over the world, we are the only business in the area working with customers to preserve their heirloom pieces,” Simmons said. Simmons is excited about expanding and bringing in vendors. 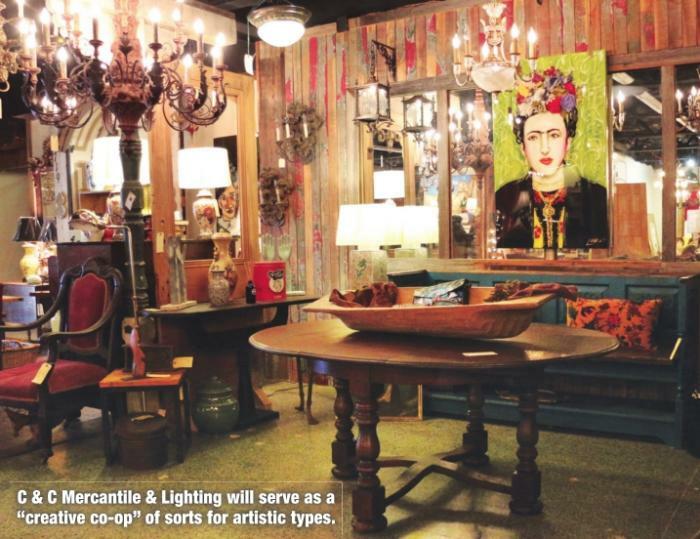 C&C Mercantile & Lighting will also serve as a “creative coop” and “meet market” of sorts for artistic types. “We’ll have offices for local businesses, and our annex will be turned into working studio spaces for creatives,” Simmons said. The Simmons will also be building a coffee bar on the main showroom floor so that customers and clients alike can come to enjoy a locally brewed cup of coffee while perusing the many offerings of the Mercantile. The company is indeed a family affair. Together, the Simmons have an almost-3-yearold who has spent the last month “helping” get the mercantile transitioned. “He loves to help ‘move furniture,’ and he’s actually really good at cleaning,” Simmons laughed. The Simmons also couldn’t do it without the help of their online sales manager, Tony Reans, and front of house manager McKay Crews. “We hope in the next several years to continue this local family business that has its roots from the 1950s,” Simmons said. While the store is the Simmonses’ primary focus, they have also brought their own talents to the Mercantile. Lauren, a high-end pop artist, shares her creative gifts with the store, while Derek, an electrician, welder and custom furniture maker, offers his own expertise to the shop to help customers. 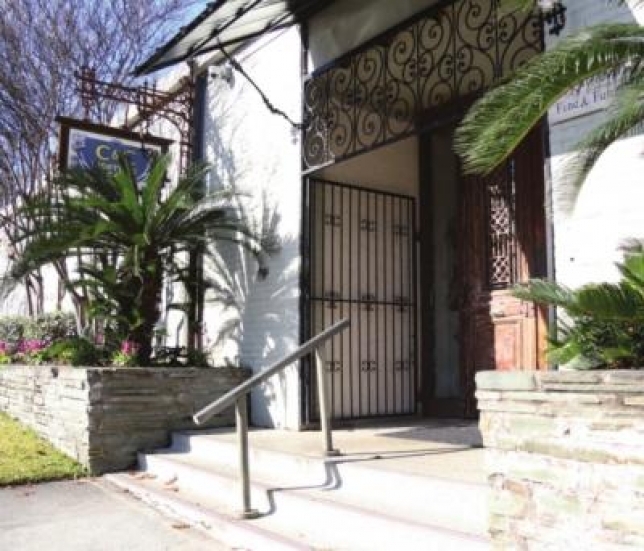 “We really hope that the Mercantile will become a ‘destination,’” Simmons said. “We want people from all over the region to come to our store for specialty items and also to attend events. Our goal is to have monthly events celebrating or hosting different creatives. We truly want to offer a place where lots of creative minds can all work together and feed off of each other’s positive energy. We want the Mercantile to be a common field in which the community can gather!” C&C Mercantile & Lighting is open now but will celebrate a grand opening on March 16 from 5:30-8:30 p.m. The store is located at 2430 Line Ave. and is open Monday-Friday 10 a.m. to 5 p.m.